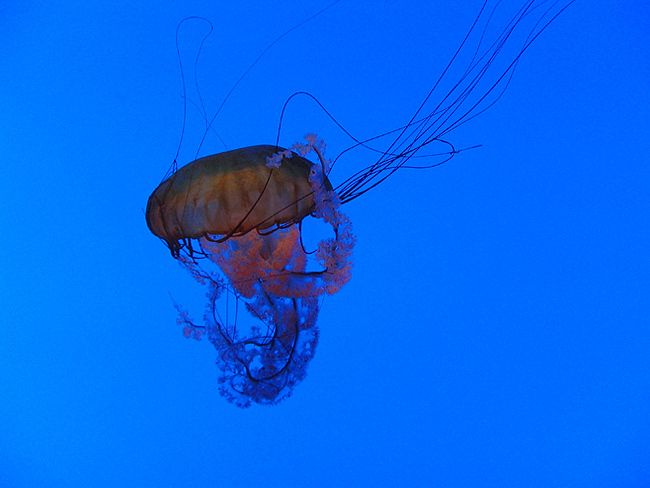 Posted in Canon A80, Georgia Aquarium, Nature, Travel/Vacations. 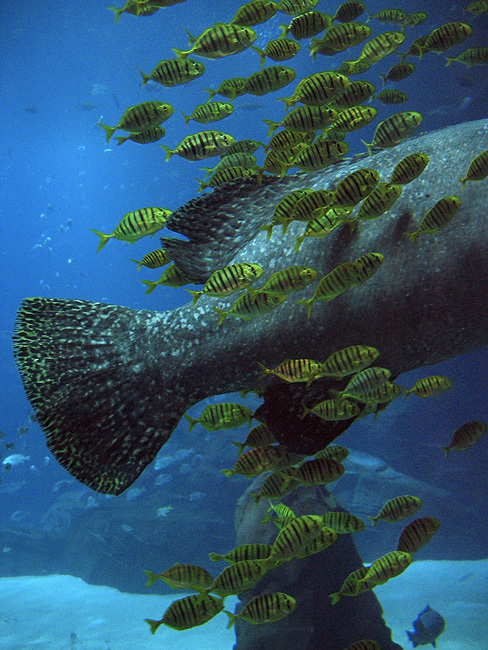 The yellow fish follow behind the larger fish for protection. If they get in front of him, he’ll likely eat one, so they make sure they stay behind his gills. Georgia Aquarium. 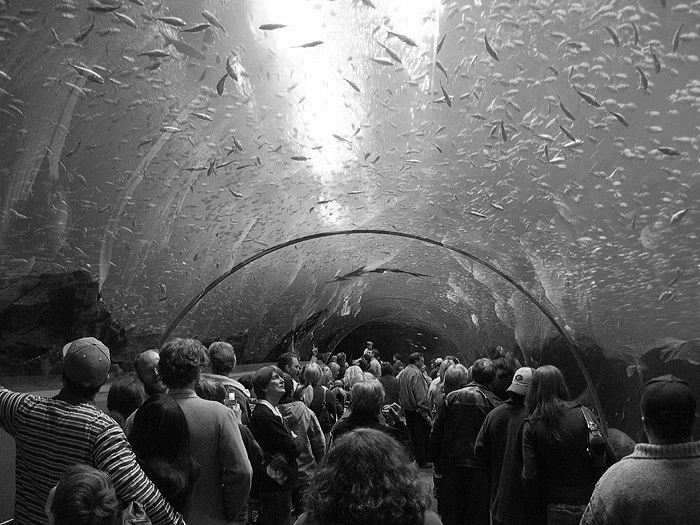 Posted in B&W, default, Georgia Aquarium, Nature, Travel/Vacations. 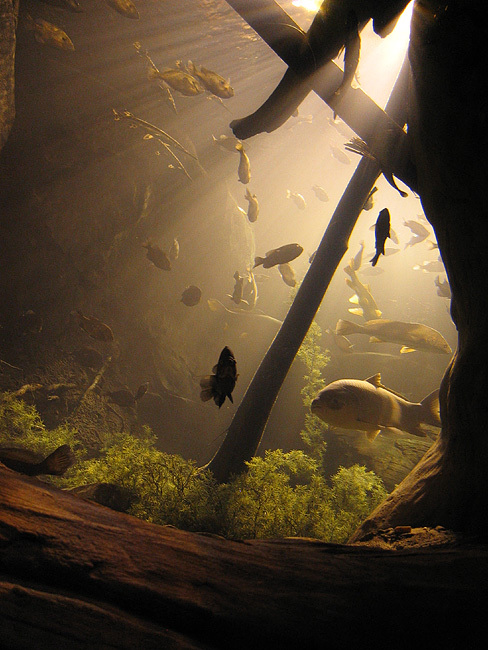 From the new Georgia Aquarium, the worlds largest, in Atlanta. I love the warm filtered light in this shot.